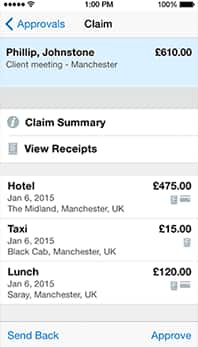 E-receipts capture transaction data directly from airlines, hotels, restaurants and car companies, automatically creating accurate, detailed expense report entries. 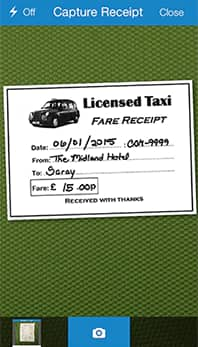 Employees can also take photos of receipts, saving them time and hassle. 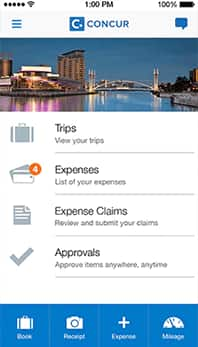 Concur Expense is expense software that makes expense reporting easier. 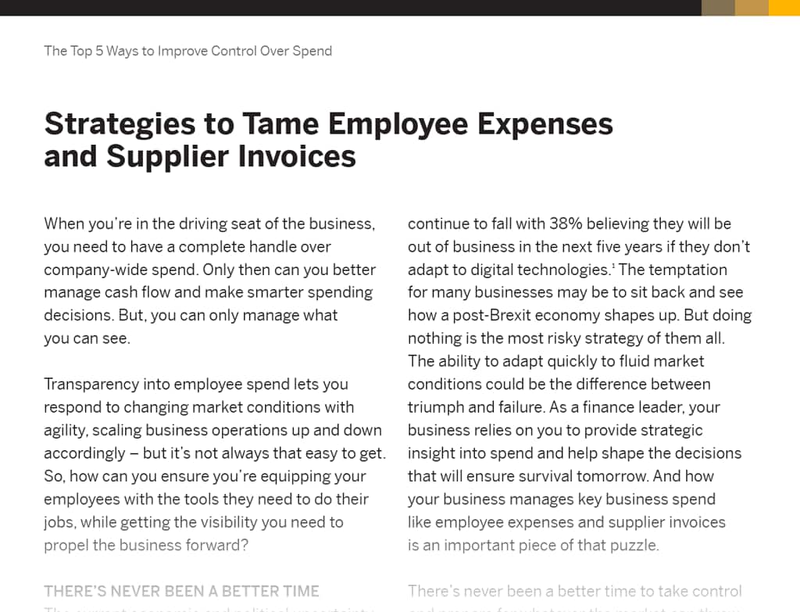 Say goodbye to paper receipts and spreadsheets with Concur's powerful expense management software. 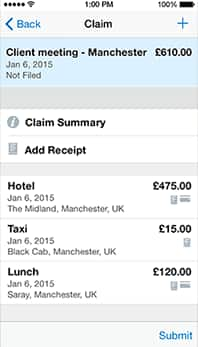 Our support for automated, mobile expense management means employees can submit and track expense reports with their mobile device. Managers can easily review and approve expense reports from any device, reducing employee reimbursement cycle time by two-thirds with web expense management. How many employees at your company file expense claims? For a customised ROI report, please visit our ROI calculator.